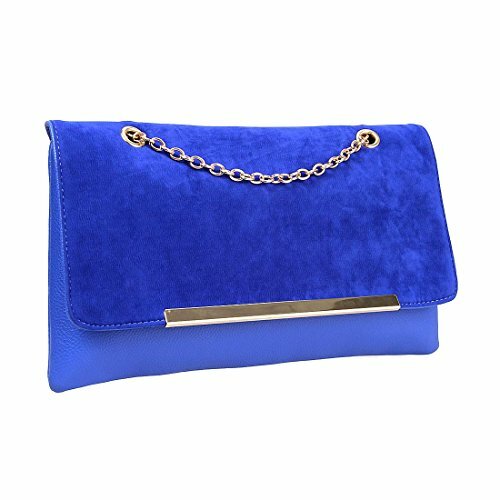 Cute navy blue faux suede leather fashion clutch. A non-detachable, adjustable chain strap transforms this beauty into a handbag. Great for a stylish night out! *NOTE*: Due to differences between monitor displays, actual color may vary slightly from image. b.m.c is a registered trademark of Remi Collections LLC and is exclusively distributed by Bundle Monster. The b.m.c trademark is protected by US Trademark Law.